Long positions above 1.0020 with targets at 1.0055 & 1.0070 in extension. 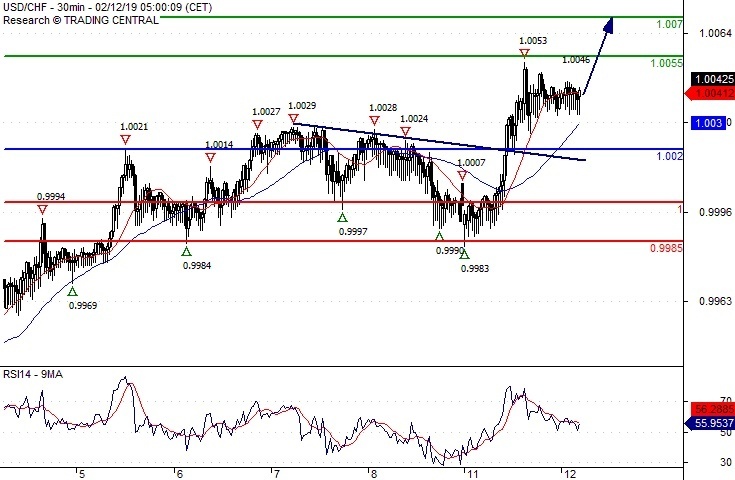 Below 1.0020 look for further downside with 1.0000 & 0.9985 as targets. Supported by a rising trend line. Long positions above 1.3275 with targets at 1.3330 & 1.3355 in extension. 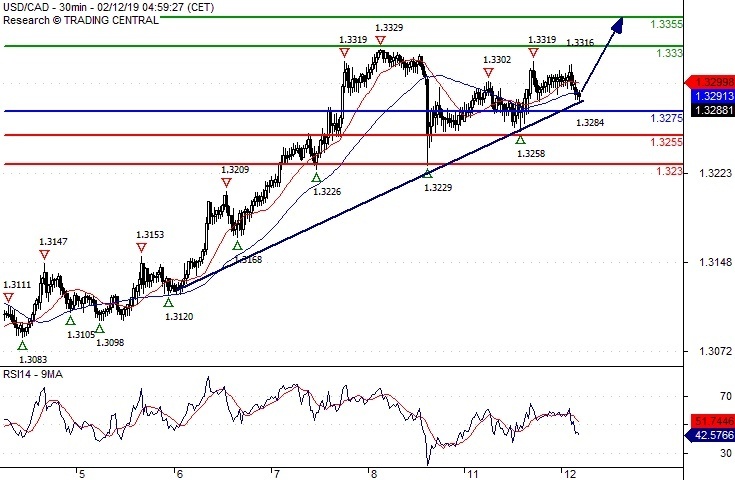 Below 1.3275 look for further downside with 1.3255 & 1.3230 as targets. 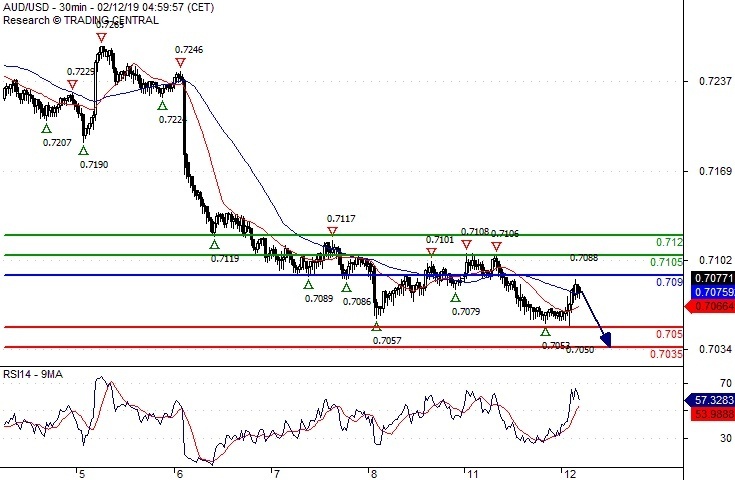 Short positions below 0.7090 with targets at 0.7050 & 0.7035 in extension. 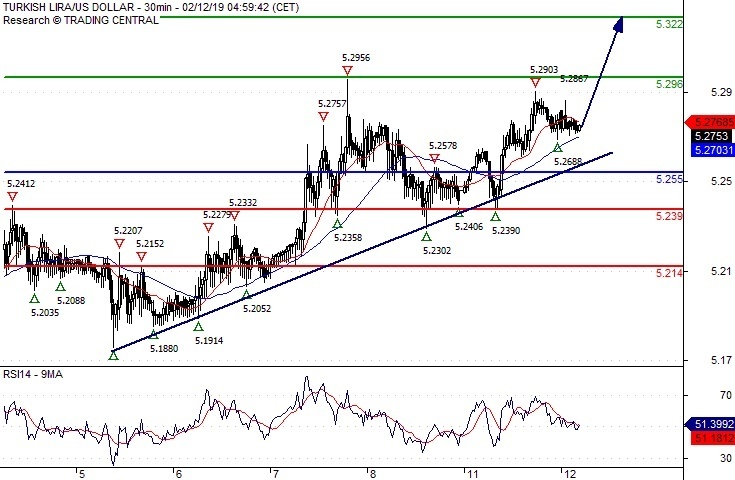 Above 0.7090 look for further upside with 0.7105 & 0.7120 as targets. A break below 0.7050 would trigger a drop towards 0.7035. Long positions above 5.2550 with targets at 5.2960 & 5.3220 in extension. Below 5.2550 look for further downside with 5.2390 & 5.2140 as targets.